In the past two months, no fewer than six publicly disclosed deals have been concluded between US based startups and funds involving Russian investors. In a deal announced a few days ago, Prosper Marketplace Inc., a peer-to-peer lending platform based in San Francisco, has acquired $70 million in funding to help fuel its growth. With more than $1 billion in loans, Prosper is a leader in the movement to disrupt the consumer lending industry. Among the new round of investors are Phenomen Ventures and Institutional Venture Partners (IVP). Phenomen is a $300 million international venture fund launched by the Russian businessman Dmitiry Falkovich, while IVP counts among its backers the RVC IVFRT LP. This fund is a joint initiative of the Russian government’s RVC fund of funds and the Republic of Tatarstan, a region within the Russian Federation. Creator of a free Electronic Health Record (EHR) platform accessible through iPad, iPhone and on the cloud, drchrono helps doctors and their patients more easily connect, to share critical data and push the boundaries of the medical industry. This Silicon Valley startup raised $2.69 million last month from a group of investors, including the Moscow based Runa Capital and Maxfield Capital, a $100 million fund launched last year by Russian businessman Alexander Turkot. Viktor Vekselberg, its first LP, also owns the Renova Group, a diversified Russian conglomerate, and heads the government-backed Skolkovo Foundation. Among drchrono’s earlier backers was Yuri Milner, founder of DST Global, and an investor in numerous US startups. As reported last week by CNews.ru, Maxfield Capital also invested an undisclosed amount in Weaved, a Silicon Valley based startup on a mission to “become the ‘DNS’ for the Internet of Everything.” The company has helped clients like Philips, Lorex and Astak to develop Wi-Fi cameras, while their partnership with Cisco produced a network attached storage device. Maxfield Capital has not disclosed the size its investment, but the fund typically invests $1.5 – 2 million. In mid-April, Almaz Capital and ABRT, two Moscow-based funds, teamed up with AVentures Capital, a major Kiev, Ukraine-based fund to inject $3.25 million into StarWind Software. This US-based software company develops software-defined storage for Microsoft’s Hyper-V environment. According to Alexander Galitsky, General Partner at Almaz Capital, “Sales of StarWind VSAN have been growing over 100 percent a year, because the product is simpler to use, cheaper to deploy, and provides compelling value… by eliminating the need for hardware components and specialized administrative support.” With Russian roots – the co-founders are Artem Berman and Anton Kolomyeytsev – StarWind has been developing its proprietary technology since 2003. Bright Capital, a venture fund with offices in Moscow and Silicon Valley, led the $10 million Series A funding of FloDesign Sonics, Inc. FloDesign’s CEO Stanley Kowalski III believes their solution will “enable a new thinking about pharmaceutical manufacturing” with a range of possible applications from blood transfusions to cleaning contaminated water. Bright Capital’s wider portfolio includes Biscience and Upstream Commerce (USA), Auctionata and Wine In Black (Germany), Carritus and Yuilop (Spain) – among a range of other international and Russian startups. In March, TMT Investments, a UK based venture fund backed by Russian businessmen, announced a $200,000 investment in San Francisco-based startup KitApps. This followed a capital injection of the same amount in July of 2013.
skKitApps’ mobile app platform, called Attendify, enables event planners to easily create customized mobile applications for conferences, tradeshows, exhibitions and other types of events. Founded in 2010, TMT has invested in over 25, mostly western, companies. These include software publishers rollApp and Pipedrive, self-service video network Virool, and Graphicly, a provider of publishing services. US startups are not the only ones benefiting from Russia’s western gaze, Russian investors have maintained a steady stream of venture investment into their continental neighbors too. Tellyo, the Helsinki based startup developing a mobile solution for sharing television “moments” across social networks, has secured a €200,000 capital injection from GS Venture. The new venture fund, established by Russia’s GS Group, plans to invest $45 million by December 2014. East-West Digital News has also learned that Runa Capital has just successfully exited from one of its Western Europe portfolio companies. While the above-mentioned investors do make use of Russian capital – to a varied extent, and in various ways – characterizing all of them as “Russian” may not be accurate. Some of these funds are undeniably Russian. 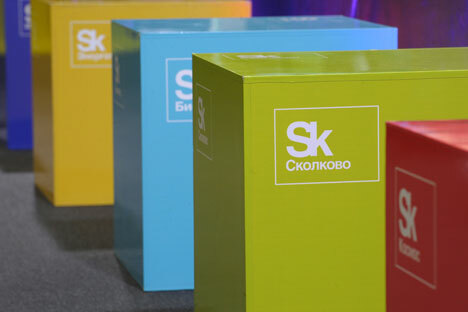 RVC and the Skolkovo Foundation, as well as Rusnano, are creatures of the Russian state. However, state ownership or influence does not mean that these funds are involved in technological espionage – an accusation which the Boston office of the FBI publicly voiced against the Skolkovo Foundation a few weeks ago. Russia, which accumulated considerable wealth over the past decade, is now investing a part of it in high-growth sectors as a bid to diversify its assets and modernize its economy. This may include technology transfers – and Western powers may legitimately be attentive to this aspect – but imagining malicious Kremlin schemes behind each Skolkovo initiative seems paranoid. Almaz and Runa exemplify another category of funds. Not only would it be hard to see Kremlin influence in their activities, but even labelling them “Russian” is not truly accurate. The EBRD and Cisco, for example, are among Almaz’s main backers, while several Runa LPs are not Russian. What’s more, these two funds, which initially targeted Russian startups, have enlarged their geographic scope to virtually the entire world – though still with a preference for Californian startups created by entrepreneurs from Russia. As for Maxfield Capital, its portfolio is today equally split between Russia, Israel and the United States. Even though Vekselberg was chronologically the first one, its LPs come from several different countries. Vulgar? Or perhaps a highly strategic move that was missed by local Silicon Valley insiders. Not only does the DST fund now enjoy a reputation as a fully established investor, but few global Internet companies have resisted its appeal over the past few years. Its portfolio includes, or has included Airbnb, Groupon, Spotify, Twitter, Zynga, medical appointment service ZocDoc, Chinese B2B platforms Alibaba and 360buy.com, to name just a few. The international rise of “Russian” funds – which East-West Digital News has been following closely during these past years – exemplifies the globalization of the venture scene. This trend is as irreversible as globalization itself. Depicting its participants with national colors becomes less relevant every day.